Should You Change Your Restaurant POS? It seems like an eternal question for many restaurant companies; should I dump the POS we use today in favor of a 'better' one? In our business, the POS is a fundamental system. Without a POS it is vitually impossible to run a multi-unit company. From out vantange point, it is also one of the most disliked systems. The churn in POS is not well documented but I think it is easy to say over 50% of companies choose a different vendor when their current POS reaches end of life. Shooting the POS vendor seems to be a popular sport among restaurant companies. I thought it would help to review the fundamentals of where the POS came from, what it is supposed to do for you, and the current events affecting this fundamental system. The DOS/PC platform meant that software could change quickly versus the electronic cash registers, which took months to make even simple changes. This is the first 'software' platform for restaurants. The touchscreen reduced cashier and server training down to a couple of hours versus days. It also eliminated the membrane keyboard with all of it manual overlays to label the keys. Features and functionality expanded quickly. Lots of machines to install and configure makes this a dream platform for re-sellers. As Internet connections become ubiquitous, costs and functionality move from store level devices to cloud devices. Security, redundancy and reliability can improve in this model. Training costs are further reduced. Hardware costs tumble along with installation services. Less functionality (short term) in return for a much lower price. Classic disruptive technology. The point of sale application supports a few critical operating and financial processes in your restaurant. It records what your customer orders and routes the order to the kitchen for cooking. It tenders the amount owed and sends it on to your processor and bank. It measures the time from start to finish, and even the satisfaction generated by recording the tip. Your employees clock in and out of it. Your bank deposits can be recorded in it. The point is, the POS is a tool for capturing important details about every customer transaction and employee transaction. It needs to do it accurately, do it quickly, and store the data safely. That is its job. Over the past decade POS vendors have tried to expand the role of the POS to cover activities above the restaurant. In the process they have entered the arena of enterprise applications, something very different than an in-restaurant recorder of transactions. Many vendors have succeeded in providing an enterprise view of the POS data, such as sales, actual labor, deposits, etc. However, in the enterprise arena, your information needs go way beyond the POS data. You have financial systems (general ledger, accounts payable, payroll), human resource systems, marketing systems, franchising systems, customer feedback, store inspections, and the list goes on and on. We have identified over 20 types of systems often used by restaurant companies. POS reporting solutions do not process all of these types of data, so they will ultimately fail to deliver the value expected from an enterprise platform. We have observed a steady increase in the amount and complexity of technology in the restaurant industry since the late 1980's. As hardware and networking became more powerful, POS and back office applications were re-written to take advantage of the new power. Inevitably, this process leads to very large applications that do far more than any one restaurant operator needs. When this happens, it sets the stage for a simpler, less expensive solution to replace the big, expensive stuff. 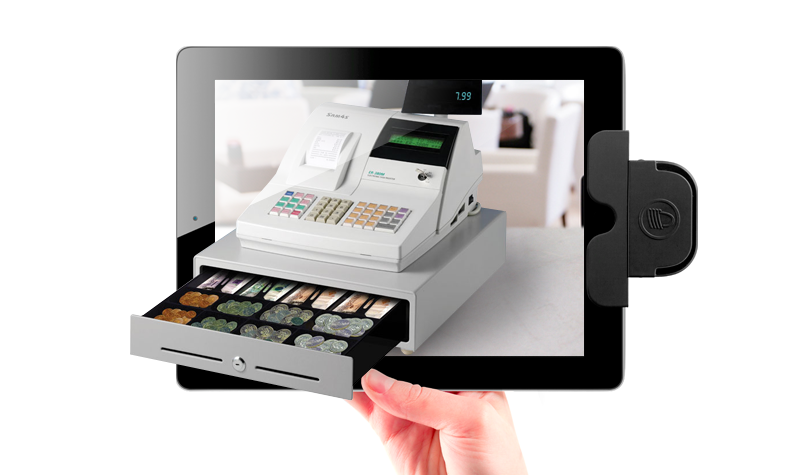 The shift to cloud/tablet POS started about 5 years ago and the new, less expensive, less functional platform is building market share quickly. The hardware can be bought at Best Buy, and the software downloaded as an app. It does not require a technician to be deployed to the store to install it (in some cases). But, the new software is incomplete, and will probably not do everything your current POS can do. So, you are left with a trade off between cost and function. Do nothing, just stay with your current POS and see what happens. Jump in now, and manage the uncertainty of which POS will be the winners. Or, spend your time and money on a platform for enterprise reporting and analysis. The costs of POS are going down, and should not rise any time soon. Your current investment is probably doing what you need for your company to operate. Now is the time to create your enterprise layer, where all of your systems feed into one central repository so you can see everything going on in your business. To do this, you need a solution that handles data from all of your systems, not just some; a solution that expands as big as your company requires. This solution should allow every department; from Operations to Finance to Marketing, to Human Resource and even Purchasing to access the data they need to run their part of the business. And you should be confident that they are all seeing one consistent version of the truth. What's driving your thoughts on a POS change? Can it be justified?